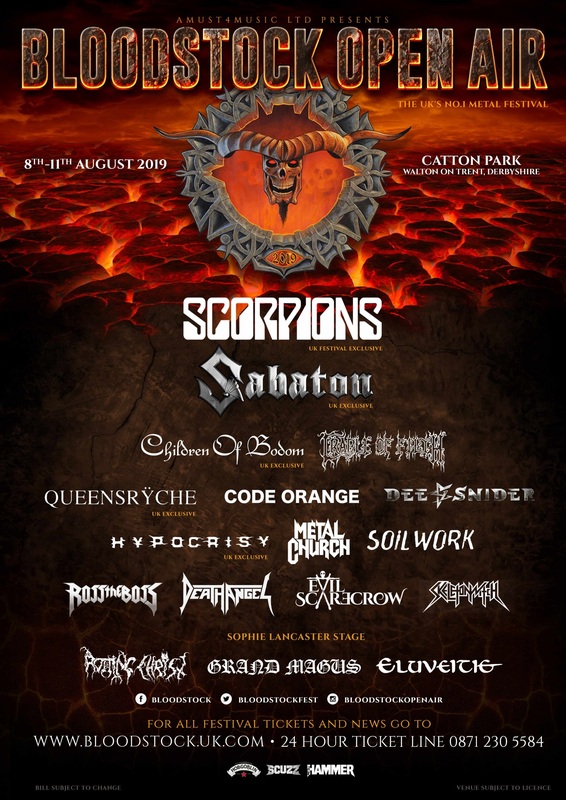 Standard weekend tickets are still currently available at ‘early bird’ prices (just £132 for four days of metal fun), so pick up yours at the ticket store – http://bloodstock.seetickets.com – if you want to save a few quid. Camper van passes are also available in limited quantities, but be quick, as limited spaces remain. BLOODSTOCK’s first wave of 2019 Serpents Lair VIP tickets are now SOLD OUT! A second wave, including Deluxe VIP packages (Luxpads, Bellepads, Podpads, etc) and a limited amount of VIP upgrades (for those who’ve already purchased standard weekend tickets) will become available on Monday 17th December at 9am. For full details click to http://www.bloodstock.uk.com/pages/vip-camping.